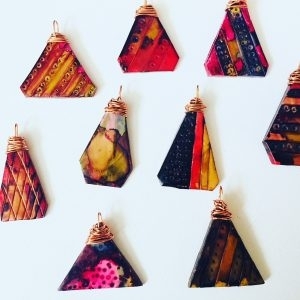 Handmade Polymer Clay Jewelry with a bold colorful boho style. Wide range of imported jewellery highlighting the handcrafted Mena Collection. Introducing a new range of mirrors, picture frames, leather boxes and antique finish candleholders. Our line of womens clothing in beautiful, new styles and colours is in. See the latelst line of table linens, exotic handcrafted boxes, chests, trunks, unique masks, wood carvings, and other home decor accessories. Exceptional selection and quality!